The streamlined shape enables faster sweeping to the best effect. 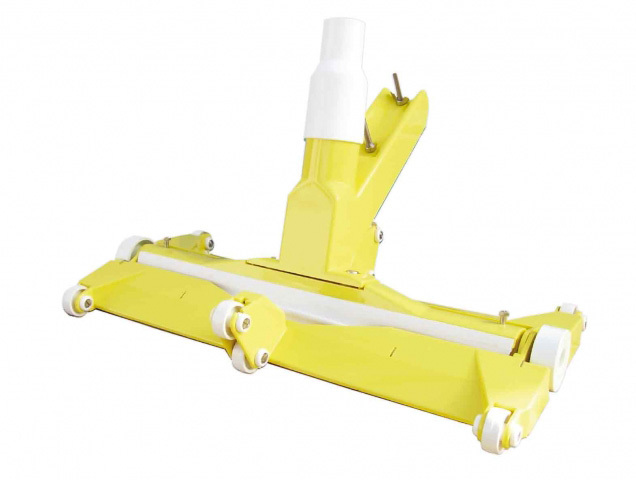 The centrally mounted 19″ brush even enables solid debris to enter the suction stream that others leave behind. Due to its rigid construction, it is ideal for pools with 1/2 hp pumps or more, which makes the Fairlocks vacuum pool cleaner is suitable for all pools whether concrete, fibreglass, painted or tiled. Also, as the weight is centralised over the brush, even liner pools. 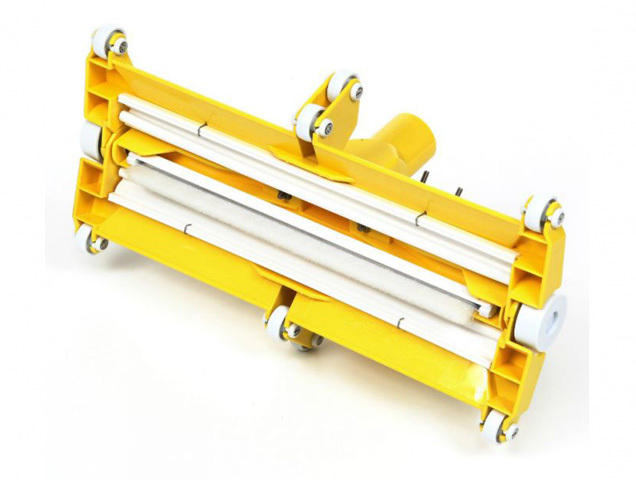 It is available with both 1 1/2″ and 2″ hose fittings. As spare parts are available and easily assembled, the Fairlocks vacuum head is a real investment and will give you years of pool cleaning pleasure. As the head meets the pool side, the leading wheels force it to articulate, so that the brush cleans right into the corner. From the corner, the head rises up the wall with no loss of efficiency. 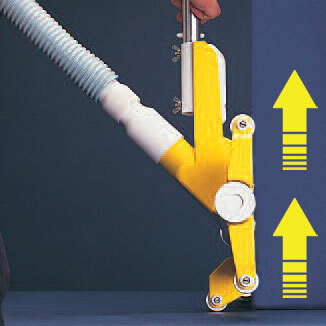 It works on both vertical and horizontal surfaces without need for adjustment. 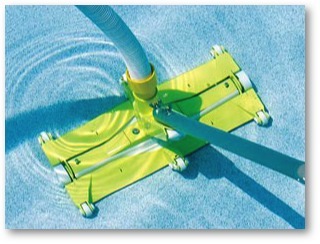 The Fairlocks unique design makes it the most efficient pool cleaning system in its class. We have given it a carefully streamlined shape to move faster without stirring up nearby leaves and debris so it uses all the power from the pool’s filtration pump to best effect. 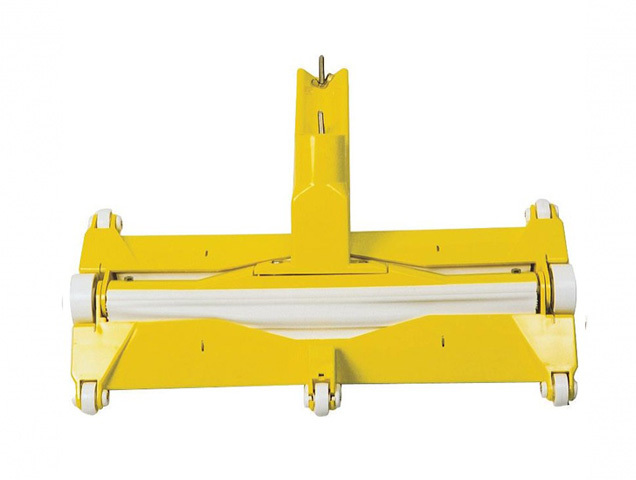 The 19′ wide centrally mounted brush even enables solid debris to enter the suction stream which others leave behind. The Fairlocks unique articulation makes sure the brush gets right into the corners as well as the sides. The tough polycarbonate version is ideal for pools with 1/2 h.p. pumps or more which makes it ideal for all pools whether concrete, fibreglass, painted or tiled and because most of its weight is on the brush, even liner pools. 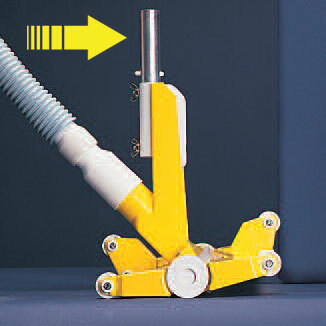 It is available with 1.5 inch and 2 inch hose fittings. With spare parts available, a Fairlocks vacuum head is a real investment and will give you years of pool cleaning pleasure. 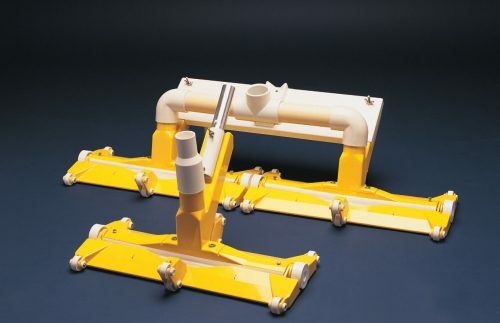 The versatility of the Fairlocks makes it suitable for both small and large pools. The new multi-fit handle enables a rapid change from one implement to another. Also, a metal yoke that mounts two Fairlocks side by side. The Double Fairlocks is over 3 feet wide and on a flow rate of over 40 gallons per minute can clean one square yard per second. 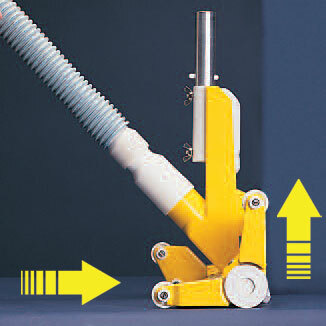 A logical development of the high performance Fairlocks vacuum head for pool cleaning – a simple metal yoke that mounts two vacuum heads side by side. 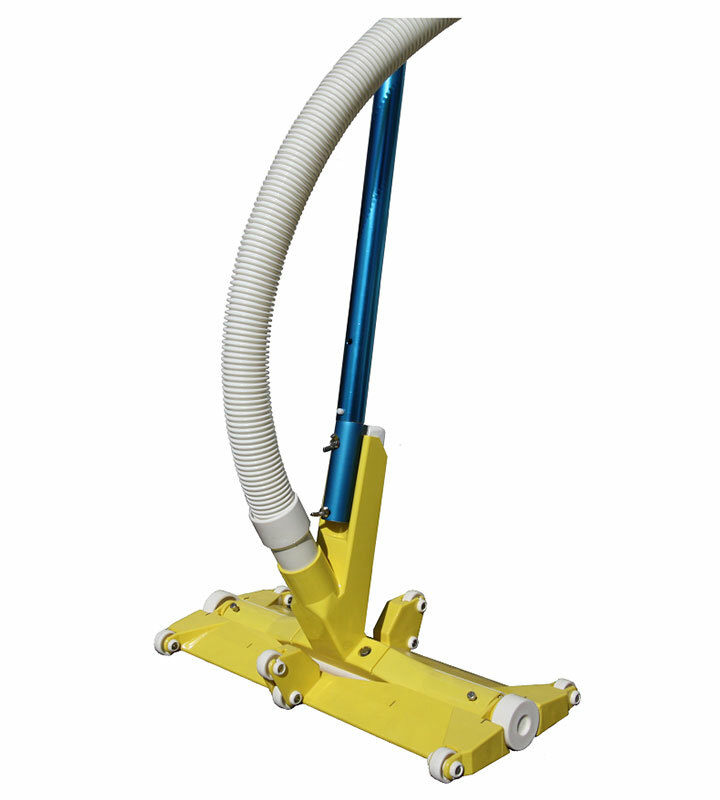 The Double Fairlocks is over 3 ft wide and on a flow rate over 40 gallons per minute can clean ONE SQUARE YARD PER SECOND. Suits pools with 2hp filtration or 1.5 mobile units.